Happy Holidays to you and yours from the Ohrstrom Library. The physical library will be closed Friday, December 20th through Monday, January 6th. The library will be open in the afternoons, 1-5 on 1/7/2014 and 1/8/2014. Full hours will resume alongside classes on Thursday, January 9th. The library’s digital collections are always open, anywhere, anytime. When off the grounds, please first log in to http://vpn.sps.edu with your SPS credentials, to gain off-grounds access to the library’s digital holdings. Here’s to a holiday break filled with comfort and joy! 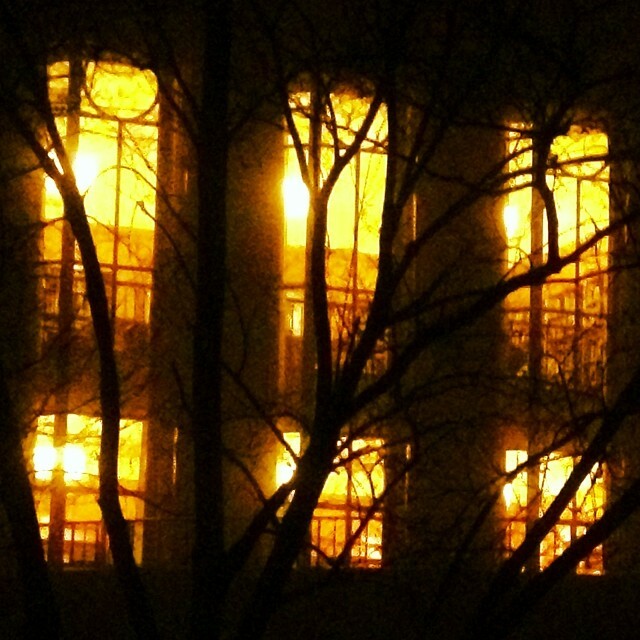 Ohrstrom at Night: Instagram photograph by L. Laughy, all rights reserved. Just a reminder that Ohrstrom Library is open Thursday December 13th and Friday December 14th from 8:30am to 5:00pm. Beginning on Saturday December 15th the Library will be closed through Tuesday January 1st. Come by, browse and borrow some recreational reading, listening, or viewing to enjoy during your well-deserved break. Also remember that while you are away, you may still access all of Ohrstrom Library’s ebooks and subscription databases by logging into vpn.sps.edu using your SPS user account. We would love to see you before you leave, and many, many thanks for being such a warm and supportive Library community. 8:00 a.m. – 9:55 p.m.
Just a reminder that Ohrstrom Library is open Thursday December 15th and Friday December 16th from 8:30am to 5:00pm. Beginning on Saturday December 17th the Library will be closed through Monday January 2nd. Image courtesy of greyhound dad under this Creative Common license.